Villa built in ancient times the Prince of Peace. It is an old building that was renovated by King Alfonso XII as a gift for his sister, the Infanta Maria Eulalia de Borbon y Borbon, Infanta of Spain, daughter of Isabel II (1864). The building's facade still retains the shield Bourbon. Eulalia White Light is an apartment of 150 square meters. It is one of the four independent houses in which the building is divided. It is a duplex apartment with large living room, kitchen, bathroom and terrace overlooking the sea and the Cantabrian coast. It has 3 bedrooms: one double with bathroom and two twin beds. 3.3km far from the beach Ondarreta and 5.3km from the center of San Sebastian. Bus number 16 stops 50m from the door communicates directly with both destinations. In addition to its easy access to downtown and the beach, it lets you enjoy a beautiful and peaceful rural setting and its wonderful sea views. San Sebastian offers a wide range of tourism, gastronomy, leisure and sport possibilities, for which we offer our visitors our best advice. It is ideal to disconnect from the city in a beautiful setting, but being only 3. 3 km. Enjoyed our stay at Eulalia very much. Our apartment was comfortable, spacious and had wonderful light. The villa is located in a beautiful rural setting not far from San Sebastian which is easily accessible by car or the local bus. The bus was inexpensive, only a few Euros for a trip down into the center of town. For any hikers, you are close to a section of the El Camino and other trails. Great walking to be had in this area. We found 3 local restaurants within a 15 minute walk of the villa; the food is good, the service easy going & friendly. Finding a good place to eat in this area won't be a problem. 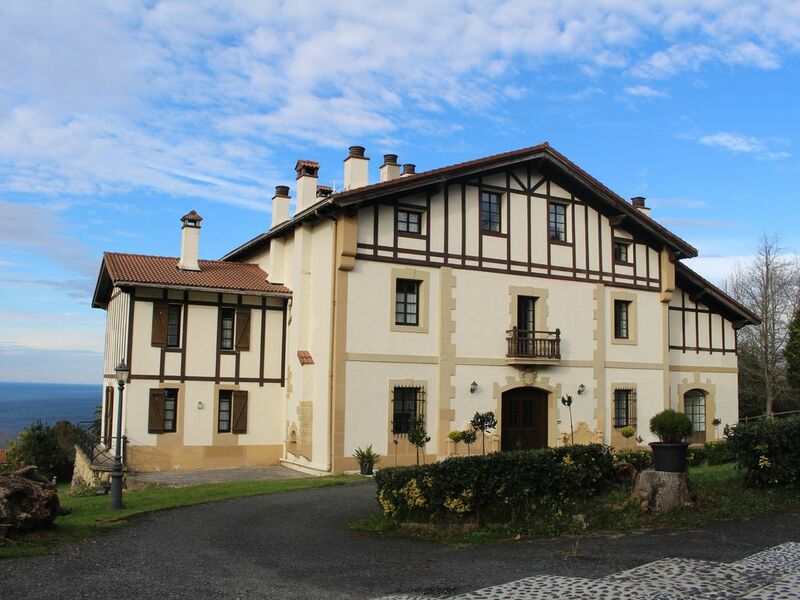 You are also within an easy drive to Bilbao and Bayonne (in France) so much to see and do. Our host, Jose Maria Moraza made us feel very welcome. Despite our limited knowledge of Spanish and his limited knowledge of English, we established an easy-going, friendly rapport. (Love translation apps!) He is an artist, the artwork both in and outside of the villa is his work. He also daily tends the gardens and looks after the horses and donkey that are on the property. A true "Renaissance" man. I would recommend a stay here for anyone interested in exploring the area in and around San Sebastian. This was a unique experience and I'm truly happy we stayed here. Charming host, spacious accommodation ,beautiful surroundings, wonderful views. We stayed here for 5 days and absolutely enjoyed ourselves. For a family with four kids, it was great to have lots of space both indoor and out. Unlike many vacation rentals in San Sebastian, there was no shortage of space in the house itself. In addition to that, the north side of the house looks out onto the water (the second floor master bedroom view is fantastic). The house was very well equipped...we did not need anything beyond what was provided. Outside, there are several horses and a donkey on the property, which was a lot of fun for the kids. They enjoyed getting to watch the animals while playing behind the house. There is a bus that comes every half hour or so, but we found it preferable (for both cost and convenience) to use our rental vehicle to drive and park. I would recommend renting a car, the bus can be both expensive and inconvenient. The north boundary of the property is the route for the Camino de Santiago, so there is some nice walking in the area around the house. The homeowner is a very nice man who is around daily to tend the animals and the property. He is very engaging, and shared quite a bit with me about the house's history (which is tied to the Spanish royal family!). He directed me to some websites as well with more information to learn a bit more about the house, the city and the area. All in all, we had a great experience. Petits aménagements à parfaire: mettre quelques meubles dans la grande pièce pour éviter la résonance, poser crochets et patères dans la salle de bain du bas car elle n'en comporte pas.